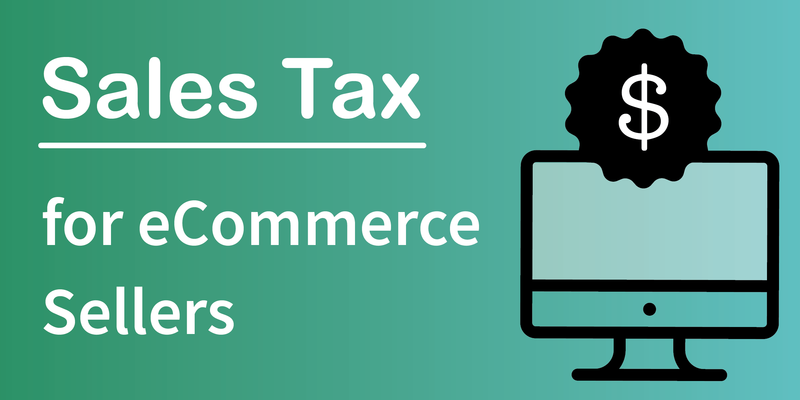 When eCommerce sellers think about "tax," their first thought is often income tax. But there's actually another type of tax you'll find that you deal with a whole lot more in your eCommerce business: the humble sales tax. Forty-five states and Washington D.C. all have a sales tax. As an eCommerce seller, if you live in a state with a sales tax and are selling taxable items, then you most likely are required to collect sales tax from your customers. This post will explain the basics of sales tax and give you some pro tips for handling this ubiquitous administrative task with ease. As a consumer, you're probably familiar with paying sales tax. It's that small percentage tacked onto a purchase. But did you know that that sales tax is remitted back to the state to fund budget items like schools, roads and public safety? Sales tax rates and rules vary, and that's because sales tax is governed at the state level. There is no "federal sales tax." That's why you might find that sales tax is due on the 20th of the month in Georgia and on the 31st day of the month in California. And that also why textbooks are taxable in California but not taxable in Minnesota. Each state's sales tax rules are slightly different. As an eCommerce seller, you are required to register with the state and collect sales tax when you have "sales tax nexus" in a state. To help you determine whether or not your business activities give you sales tax nexus, you can find out what every state's laws have to say about nexus here. If you determine that you have sales tax nexus in a state, your next step is to get registered with the state to collect sales tax. Before you begin collecting sales tax from buyers in a state, that state requires that you register for a sales tax license (sometimes called a sales tax permit.) Don't skip this step before you begin collecting! Most states consider it unlawful to collect sales tax from your customers without a permit. You register for your sales tax license with your state's taxing authority, which is usually called the [State] Department of Revenue. 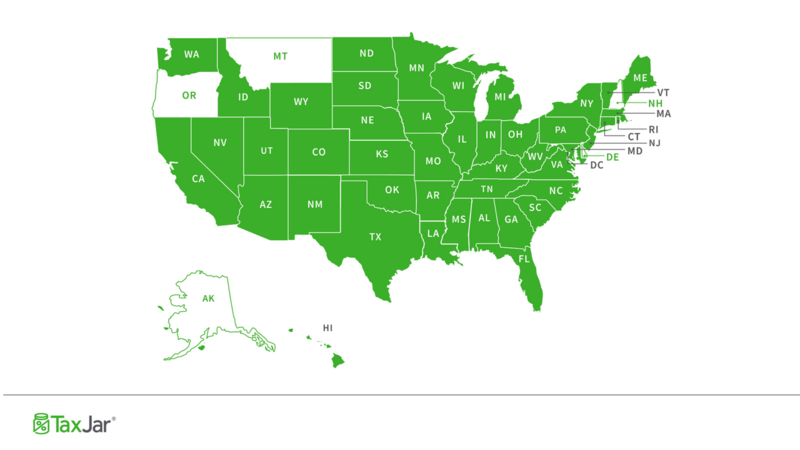 Check here for guides on how to register for a sales tax license in each U.S. state. When you register for a sales tax permit, the state will assign you a sales tax filing frequency and give you sales tax due dates. How often you file sales tax generally depends on your sales volume, so you might find yourself filing either every month, every quarter or annually. Once you have your sales tax license in hand, your next step is to ensure you're collecting sales tax from your customers. If you own a brick and mortar store, your sales tax collection is fairly simple. You look up the sales tax rate at your address, and charge the same amount to all of the customers who walk up to your cash register. But with eCommerce, charging the right amount of sales tax is a little more complicated. Most states are "destination-based" sales tax states, meaning that the point of sale (i.e. the location where you are supposed to charge sales tax) is your buyer's ship to address. Since, in most states, the sales tax rate can vary from locality to locality, you may find yourself charging one buyer in South Carolina 6% sales tax and another buyer in South Carolina 7%. Fortunately, most eCommerce platforms allow you to set up automatic sales tax collection from your customers. For help getting set up, check out our guides on setting up sales tax collection on the most popular eCommerce platforms. Okay so you're all set up and have been collecting sales tax from your customers. Before you know it, your sales tax filing due date will roll around. When that happens, its time to report how much sales tax you've collected from your buyers. Each state wants this in a slightly different format, but for the most part they want to see how much sales tax you collected not just within the state, but within each of that state's cities, counties and other local taxing jurisdictions. This can be a time consuming and frustrating task, especially if you sell on multiple eCommerce platforms. Trying to find sales tax reports in the backend of your eCommerce shopping cart, and then to combine them into one spreadsheet is never fun! That's where sales tax automation comes in. With a sales tax automation solution, you can connect your eCommerce shopping carts and marketplaces just one time. From then on, your sales tax will be broken down for you by state, county, city and other special taxing districts. You'll be able to login and look at return-ready reports. And if you're really sick of sales tax, you can even AutoFile your sales tax returns so you never have to look at a sales tax form again! Now that you have all of your sales tax collected in handy report, it's time to login to your state's department of revenue filing site and file your returns. You should receive information on how to file after you receive your sales tax permit. File even if you didn't collect any sales tax – States consider your sales tax return a "check in." So even if you didn't collect any sales tax over the taxable period, be sure to file a sales tax return. Failing to file can result in a fine or penalty. Nobody wants to pay a fine when you didn't owe any sales tax in the first place! And that's it! Now you're practically a sales tax master. If you have questions or want to know more about sales tax, check out our comprehensive Sales Tax 101 Guide or ask a question over in the Sales Tax for eCommerce Sellers Facebook group.